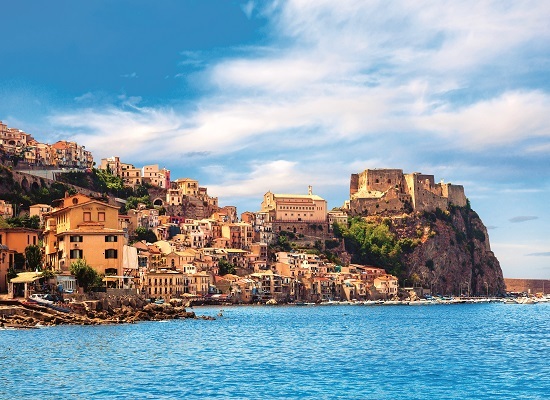 The Calabria region is the toe of the boot – it’s the very last stretch of land before Italy hits the Med, with Sicily floating just next door. 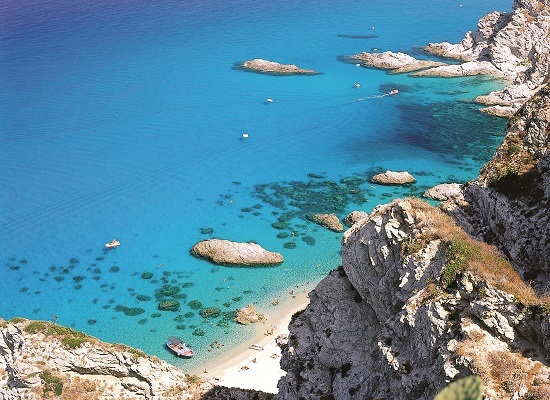 Surrounded by sea on three sides, Calabria has a whopping 500-mile coastline, decorated with eye-popping beaches. And, because it’s right at the tip of Southern Italy, Calabria has knockout weather. Summer temps soar over 30 degrees and, even in spring and autumn, the mercury hovers around the mid-twenties. Italian holidaymakers have been sunbathing here for a while now, and it’s easy to see why. This slice of Italy has got all the appeal of Venice and Sorrento, without the crowds. Even in the height of the summer, little-known Calabria is queue-free. So you can put your elbows away, grab your camera, and go exploring. Expect to stumble across unspoilt views, rustic villages and hidden beaches. There are tonnes of things to do in Calabria, but heading to the beach should be top of your list. We’re not kidding when we say these off-the-radar stretches are the best in mainland Italy. Think turquoise seas and sugar-white sands – Tropea is like a real-life postcard. And, since Calabria has largely been kept under wraps, even the most popular beachside towns have held on to their authentic charm. Prefer to get active? The cliff-lined coastline is great for cyclists and hikers. City-lovers should make a beeline for Catanzaro. 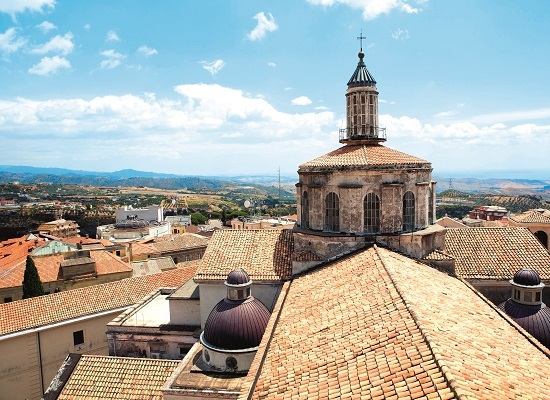 Calabria’s age-old capital is full to the brim with ‘grammable architecture. You’ll find ancient palaces, chapels and ruins – some even date back to Medieval times. Scolacium is another city from way-back-when, filled with archaeological treasure. Take a look at the Roman amphitheatre, see ruins from the Greek era, and step back in time at the museum. 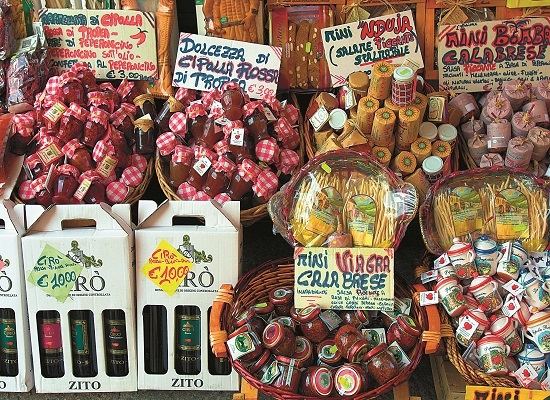 The Calabria region is famous for its mouth-watering cuisine, but the star of the show is Nduja spicy sausage. This Calabrian version of salami is so soft that it can be spread over bread like paté. Pop some on a slice of freshly-baked ciabatta for a tasty treat. Of course, you can’t go to Italy without loading up on pasta. Rigatoni alla Pastora is a lip-smacking regional dish, featuring sausage, chillies, ricotta and pecorino – a local cheese made from sheep’s milk. Finish off your meal with a bowl of Tartufo. Originally from Pizzo, this drool-worthy dessert is gelato for grown-ups. You’ll get two flavours of ice-cream, along with a dollop of syrup or frozen yoghurt. Our top pick is TUI MAGIC LIFE Calabria. It’s got a private beach, and has bagged a postcode on one of the best beaches in the area, backed by hills and pin-striped vineyards. Activity-wise, you can be as busy or as lazy as you like –the hotel offers everything from bike tours to archery. Hop between twin pools, or put your feet up in the spa. If you book an upgrade to the swanky Private Lodge, you’ll also get access to a third pool and a splash park for kids. And, after a day in the sun, you can take your pick from five restaurants and four bars. Cocktails, anyone? Kick back in Calabria next summer. Book your Italian escape here.